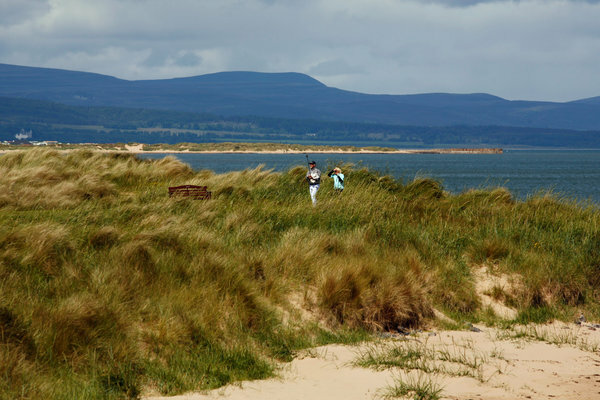 While many American golf fans will tune in to watch the British Open at Muirfield in Gullane, Scotland, where the first round begins July 18, some may still hesitate at trying their hand at Scottish links golf. Wind, rain and blind holes are, literally, par for the course in the game’s homeland. Bernard Murphy, general manager of Gleneagles. Below are edited excerpts from a conversation with Mr. Murphy on how to plan a golf vacation in Scotland and play some of its most inaccessible courses. Q. On a tour of Scotland’s best golf courses, what’s your first stop? A. St. Andrews on the east coast, because the Old Course is where it all began — links golf — though people wouldn’t hold it as the very best-condition golf course. Kingsbarns would be another great links golf experience within the city of St. Andrews, right by the North Sea. That’s very much part of the links playing experience, the sea. If the wind is blowing from the east, you’re getting the wind from Scandinavia and Russia. It can be bitterly cold, and the driving rain can really make the golf more challenging. Some days you get no wind, and it’s a totally different game. A. Head inland and stop at the Ladybank Golf Club and then continue on to Gleneagles. One can play any of our courses: the P.G.A. course designed by Jack Nicklaus or the King’s and the Queen’s courses, which date before the hotel opened in 1924. There’s lots to do besides golf: the spa, the Michelin-starred Andrew Fairlie restaurant, tennis, whisky tours. Then go southwest to Turnberry on the Atlantic. It has an excellent hotel, and the Ailsa course is fantastic. The ruins of the Scottish king Robert the Bruce’s castle you can see from the ninth hole. Around there are a whole host of hidden gems like the Prestwick and the Royal Troon, and that’s what you really want to get to in Scotland. Q. And if you were to go north? A. The Royal Aberdeen is a good golf course by the sea. If you’re in Aberdeen, you’ll want to be staying at a hotel called the Marcliffe. They’re well tuned up to everything there. Nairn, that’s farther north. Farther still is Royal Dornoch. Tom Watson said that it’s one of his favorite golf courses. Q. How difficult is it to get on these courses? A. A lot of these smaller members courses like Muirfield, where the British Open is being held, Prestwick and Royal Troon, they have been around for hundreds of years. They’re run by the members for the members; consequently it’s not as straightforward as getting your credit card. But you can get on these courses on certain days and times. Ring them up or check their Web sites to find out which days are open to visitors. Or hook up with larger resorts like ourselves because our pro will know the places that one can and can’t get on. Or find a good travel adviser. Q. Any recommendations for one? A. There’s an agency called Haversham & Baker, and a tour operator called PerryGolf, and another called Links Golf St. Andrews. They know people locally and will do a good job. Q. Any suggestions for deals? A. GolfBreaks.com and YourGolfTravel.com, both very reputable. You do see deals in some of the British newspapers. In The Telegraph, for instance, you’ll sometimes see two golfers for the price of one. Worth looking on these sites and seeing if there’s anything under golf before you come.